My friend Eunice and I attended a concert by the Juilliard Historical Presentation Students in the 2 year Masters degree program. It is held several times during the year as part of the Tuesdays at Twelve series at Holy Trinity Lutheran Church on Central Park West. 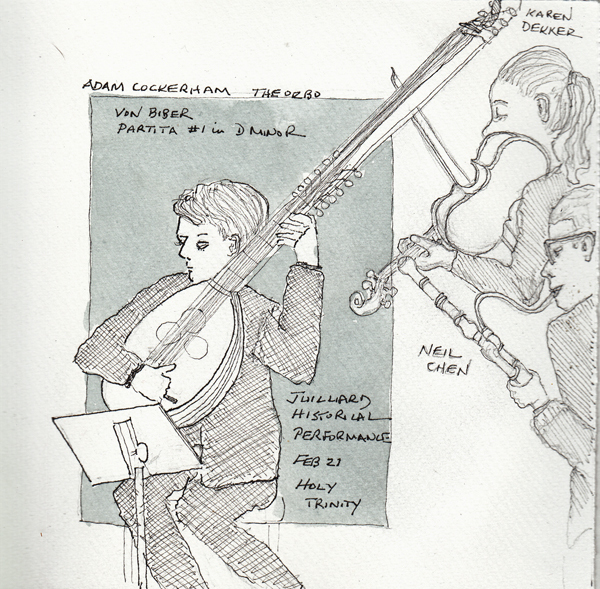 At most concerts it is difficult to see the performers and their instruments well enough to draw them. 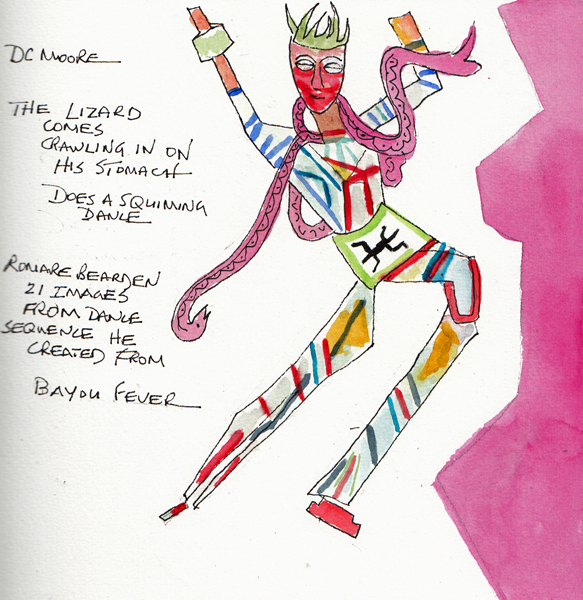 These are scribbled drawings of several of the performers which were painted at home. This is the drawing posted previously from the first of these concerts that I attended. The unusual instrument is a theorbo - from the lute family. 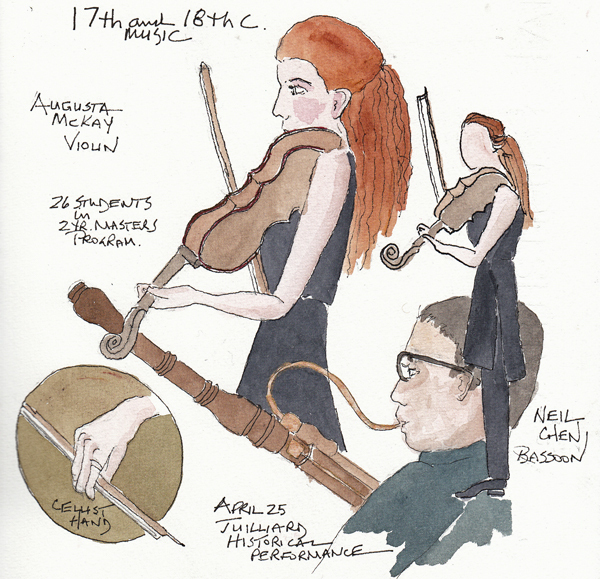 I just realized that I sketched the same bassoonist at the recent concert. 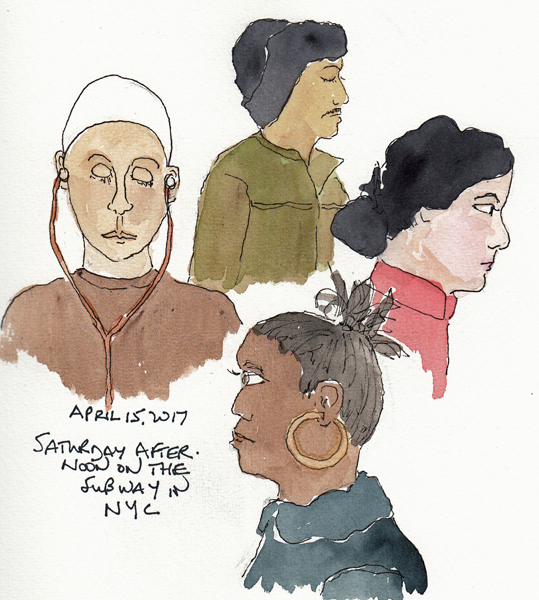 Saturday Subway Riders: I haven't drawn on the subway for many months, but I forgot to bring a book! 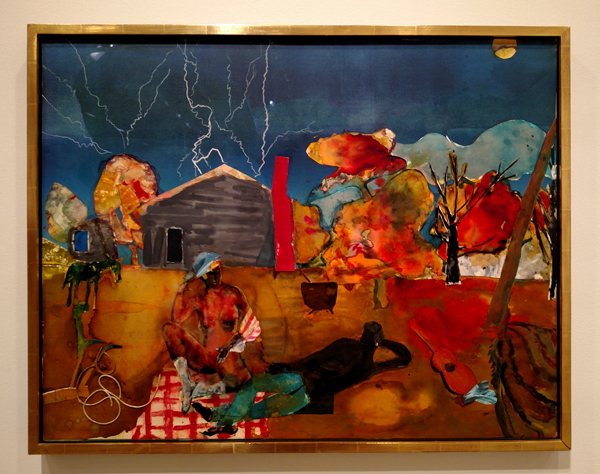 Last Wednesday (4/12) Pat and I met at Phillips for their Art on Paper auction preview, had lunch for sustenance, and then went to the Whitney Biennial for a tour led by my friend Gail. 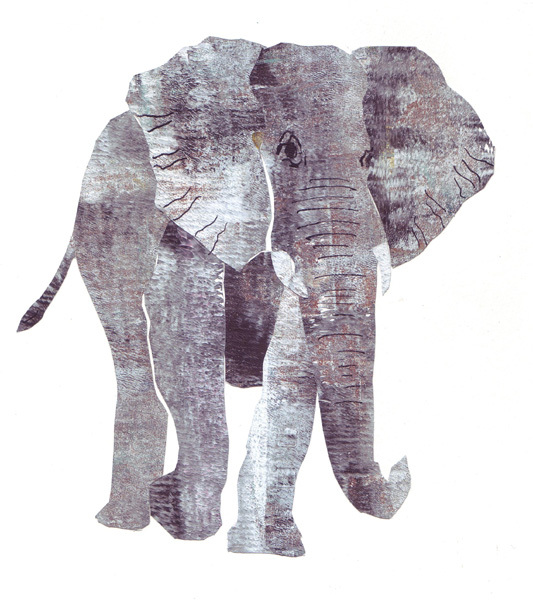 During the winter months in 2013 I used every art medium I had in the apartment and spent the months sketching elephants from online videos. 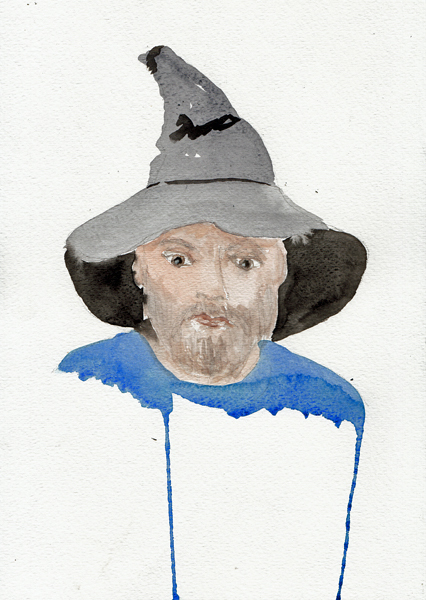 I even learned how to make an Eric Carle collage from one of my paintings (see below). 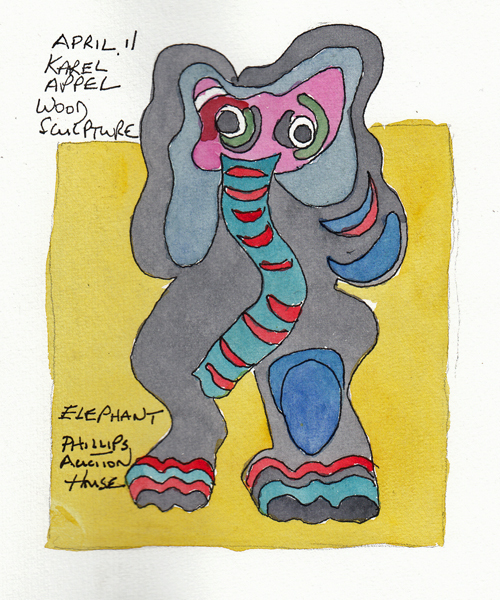 So I just had to sketch and paint this multiple layer wood sculpture by Karel Appel at Phillips. 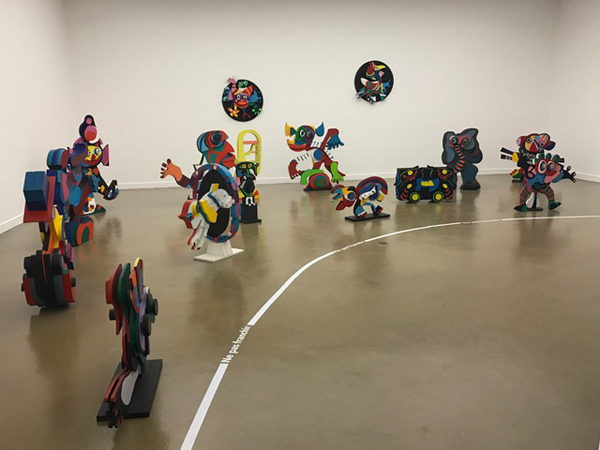 At almost 2PM on 4/13, my friend Benedicte sent me this image from the Paris Modern Art Museum, completely unaware that I saw another copy of the same sculpture 24 hours before!. She also sent this photo of Appel's Circus, from the exhibition that she visited. 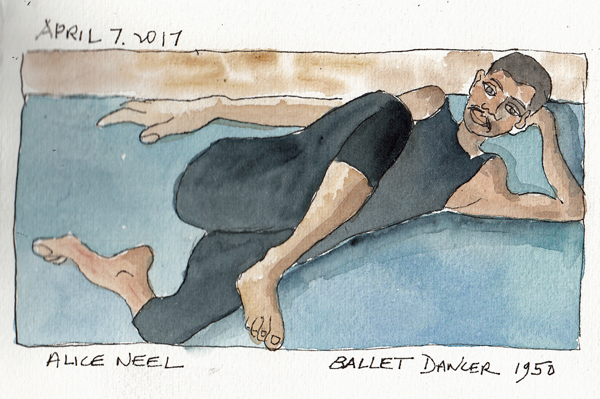 During another trip to Paris she sent me a photo of a beautiful, flower-covered ballet tutu, not knowing that I photographed it when visiting Paris several months before. 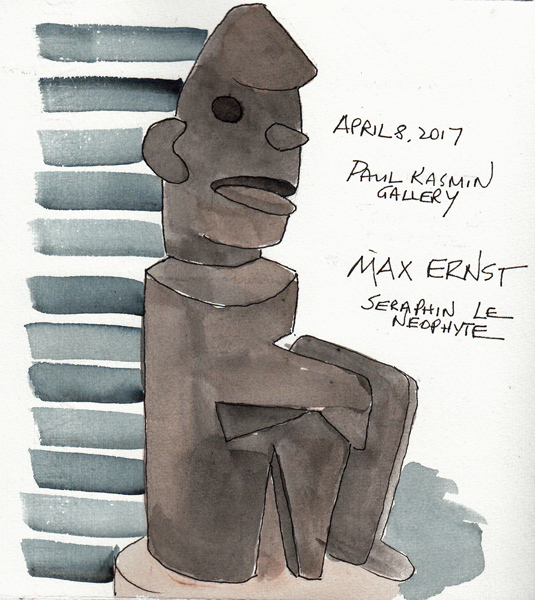 My friend Pat and I visited a few galleries in Chelsea last week, and sketched at several of them. 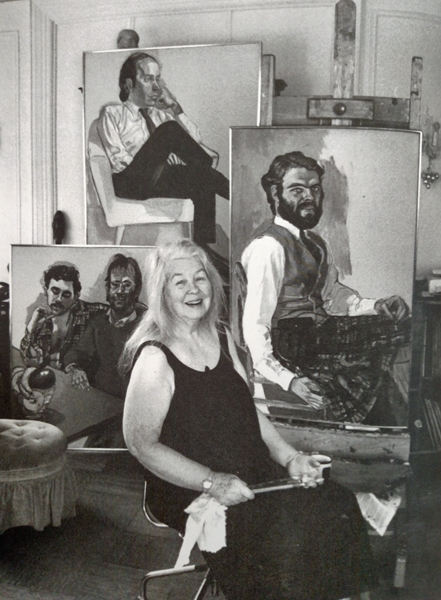 Photo of Alice Neel (1900-1984) Alice Neel was primarily a portrait painter of people who lived in her neighborhoods in Spanish Harlem and the Upper Westside of Manhattan. 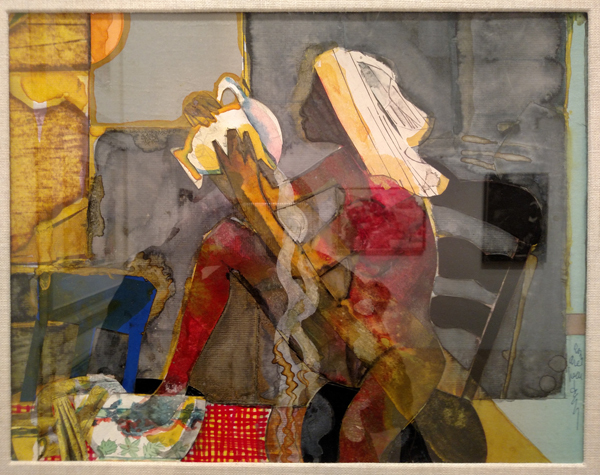 My Painting inspired by her "Ballet Dancer"
Romare Bearden(1911-1988) Bayou Fever and Related Works at DC MOORE GALLERY through April 29th: A large exhibit of his watercolor paintings and 21 collages he created for a dance called Bayou Fever. 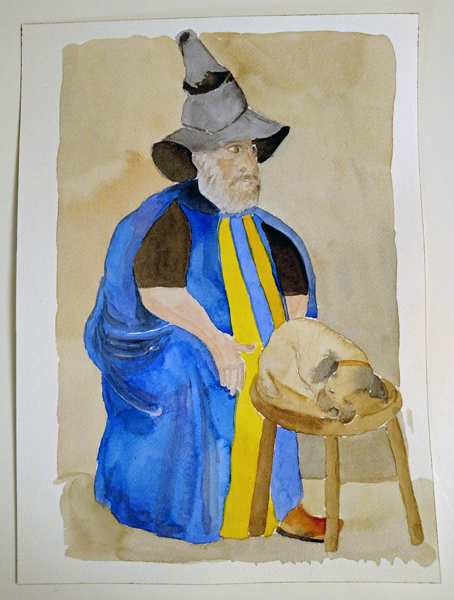 Many of my favorite pieces are a combination of watercolor and collage. 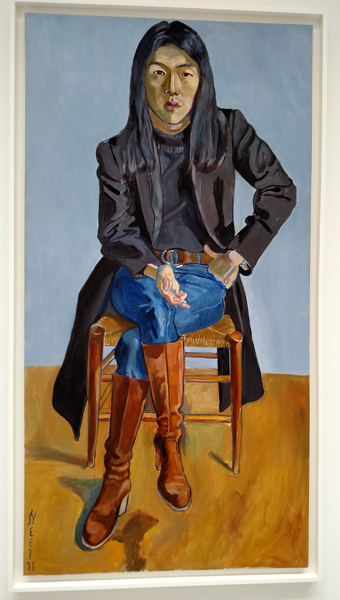 RBKitaj (1932-2007) The Exile at Home: An illustration at MARLBOROUGH CONTEMPORARY which closed this past weekend. 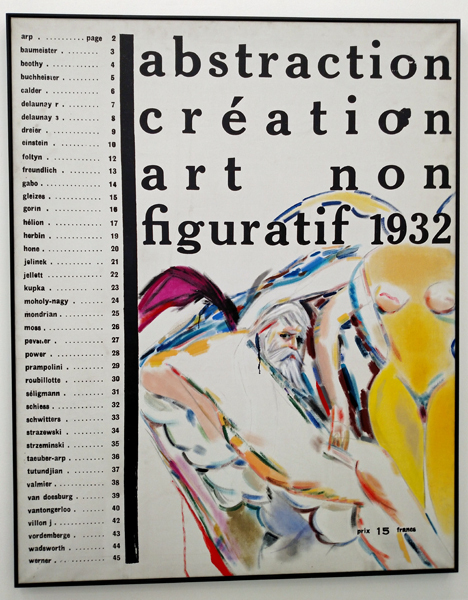 I loved an exhibit of his work at a museum in Berlin in 2012, but didn't like these paintings as much. 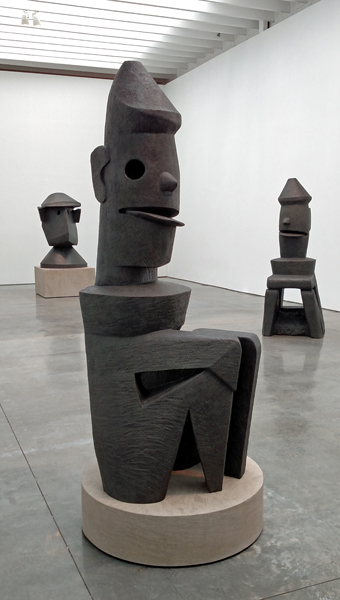 We also visited Garvey-Simon Gallery where Linda Lindroth's photography exhibit was about to close. Linda is one of my college friends, and her exhibit, Trickster in Flatland, was great inspiration for abstract compositions for both of us.